Michigan State Police are encouraging you to stuff a blue goose this holiday season. 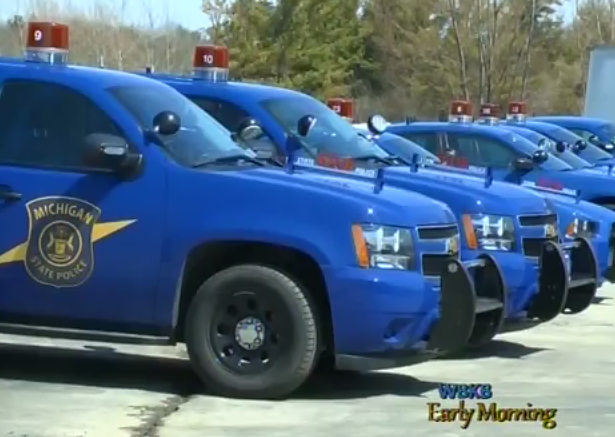 The “blue goose” being Michigan State Police patrol cars. This year, Michigan State Police will be organizing their fourth annual drive to gather toys and non–perishable food items for those in need this holiday season. The theme for the event is “Stuff-A-Blue-Goose,” as troopers will have a patrol car located at Wal-Mart and Neiman’s Family Market Saturday, December 10th. From 10:00 am to 6:00 pm, stop by and stuff the blue goose full of unwrapped toys and non–perishable food items. All of the toys gathered will be turned over to the Vietnam Veterans of America, Chapter 583 for distribution to families in need in Alcona, Alpena, Montmorency and Presque Isle counties. Food items will be donated to the Salvation Army in Alpena. Donations can also be made prior to the event on December 10th in Alpena at the Michigan State Police Alpena post, located at 3283 W Washington Avenue. Please come on Saturday, December 10th to stuff the blue goose and help local troopers make a difference.